Did you find bright magenta-red beets at the Farmer’s Market or in your CSA farm share box this week? Are summertime temperatures climbing in your corner of Earth? You are thinking beets would be perfect on your menu but you don’t want to dial up the oven or watch a pot on the stove for an hour? The solution? Bring out the pressure cooker. 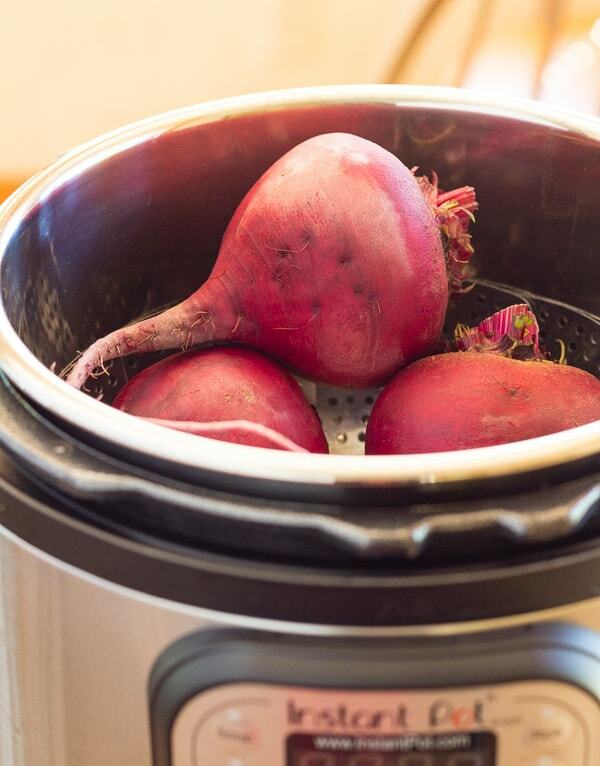 This post explains how to cook beets in a pressure cooker–in 20 minutes! Pressure cookers are the pots that spare the cook. 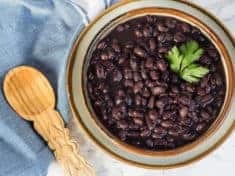 Not only do they conserve time and energy by requiring minimal liquid, pressure-cooked ingredients retain more nutrients and the flavor is more concentrated. Click here to PIN How to Cook Beets in a Pressure Cooker. OK. I own 3 pressure cookers–my newest is an Instant Pot. I can’t find a reason to part with my treasured stovetop pressure cookers though. My Kuhn-Rikon 7 quart pressure cooker is still a serious kitchen workhorse. And what if I want to pressure cook a 2nd something while the Instant Pot is in action? Like artichokes for appetizers and kale risotto for the main course? 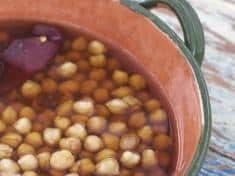 While pressure cooking cooking garbanzo beans, beets could be in another pressure cooker speed-cooking for a salad. My friend Barbara at Pressure Cooking Today convinced me that I needed the Instant Pot electric pressure cooker. Good advice. Still, I’m not giving up the other two though, because they’re both high quality Italian- and Swiss-made stainless steel pressure cookers. One I’ve owned since I was about 10 years old so it’s a sentimental thing. Scrub the beets well but do not peel. Trim off any root “hair”. Place a steamer basket in the pressure cooker and add water, a little more than a cup. Arrange the beets on the rack. Lock the lid in place. In the Instant Pot, press Manual and adjust the timer for 15 minutes. With a stovetop cooker, bring to pressure over high heat, lower the heat just enough to maintain high pressure. Cook the beets 12 to 15 minutes. **The larger the beets, the more cooking time. If you have a few extra minutes, allow the pressure to come down naturally. The Instant Pot will shut off at the designated time and the pressure will come down naturally if you don’t do anything. Beets should be tender all the way through when pierced with a metal carving fork. When they are cool enough to handle, slip off the skins and slice as you wish. My second favorite thing to cook in a pressure cooker is beans, though risotto runs a close third. Spicy Chard and Pinto Bean Risotto in the Instant Pot? Yeeessss! These pressure cooker links are Amazon affiliate links. When you purchase products via my links, it doesn’t cost you anything and I earn a tiny commission, which helps defray the costs of Letty’s Kitchen blog. Thank you for supporting Letty’s Kitchen. 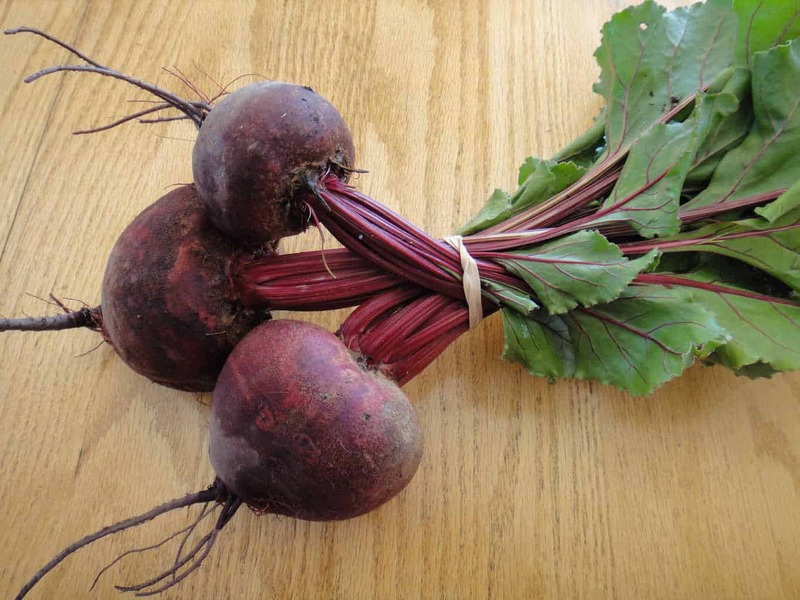 The fastest way ever to cook beets--pressure cook them! Scrub the beets well but do not peel. Trim off any large root “hairs”. Place a steamer basket in the pressure cooker and add a little more than a cup of water. Arrange the beets on the rack. Lock the lid in place and bring to pressure over high heat. In the Instant Pot, press Manual and adjust the timer for 15 minutes. With a stovetop cooker, once the pot comes to pressure, lower the heat just enough to maintain high pressure for 15 minutes. If you have a few extra minutes, allow the pressure to come down naturally. The Instant Pot will do that all on its own because you set the time. 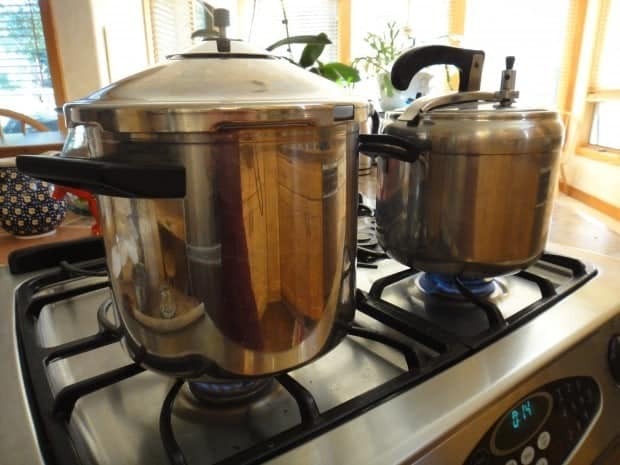 With stovetop pressure cookers, remove from the heat to let the pressure come down naturally. The larger the beets, the more cooking time. 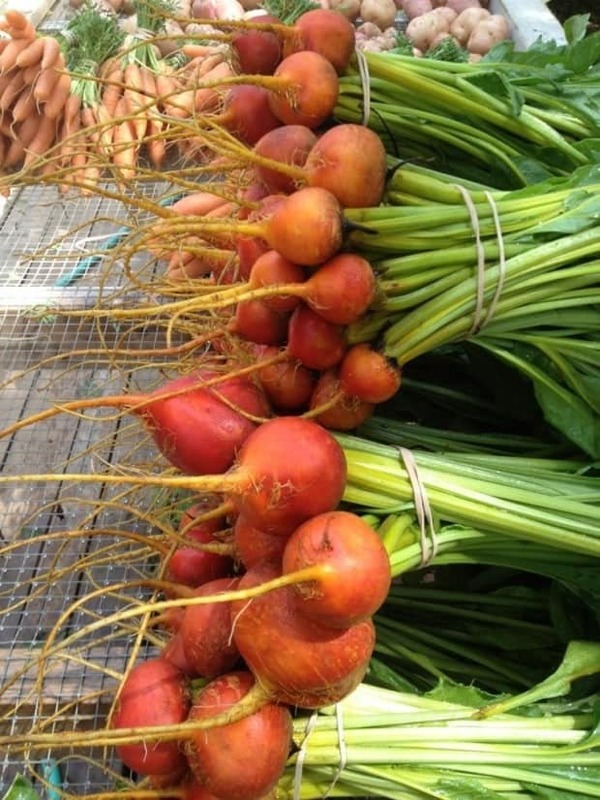 Once I had 10 ounce beets and they needed 20 minutes! Beet greens cook so quickly that we need to be cautious not to over-cook. Don’t even bring to pressure–just lock the lid in place and cook about 3 minutes. Reduce any pressure that built by running under cold water. Can I cook 8 beets instead of 4? Yes, you can cook 8 beets. You can use the same amount of water and the same cooking time–no need to double those. My P.C. is the type with a gauge. How many lb. pressure should I use? Should I use only 1/2 C. water? You want about 11 pounds pressure. I would use closer to 1 cup of water–the water level should almost to the level of the steamer basket or trivet that holds the beets. Dear Letty, I still have an old fashioned pressure cooker that is supposed to “whistle”. Your instructions do not help me with that part. How many whistles and how long to whistle? I found an article on Hip Pressure cooking on pressure cookers that whistle. Here’s the link. From that, I learned that the first whistle indicates that the cooker has reached pressure. Start your timer then. I have an almost 40 year old (I guess that would be old-fashioned) Italian made pressure cooker. (My sounds more like a hiss than a whistle.) When the hissing sound begins on mine, I start the timer. Is yours from East India or Europe? What brand?